FC Barcelona's Luis Suárez has discomfort in his right knee, the Club announced on Monday. 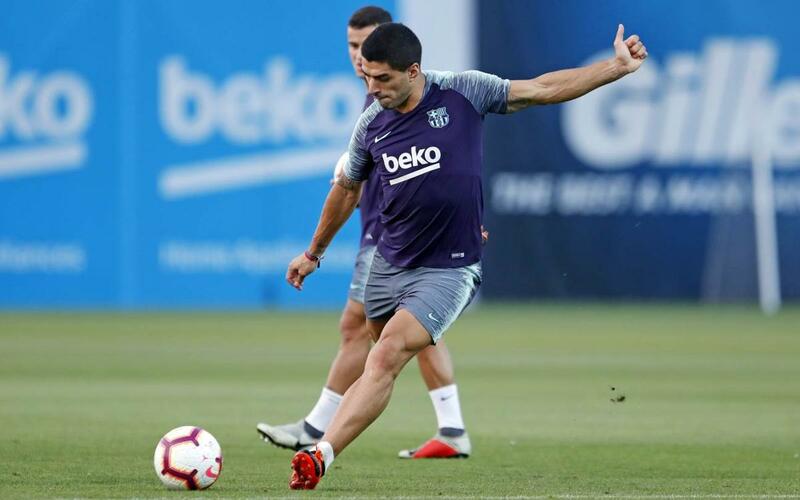 In the coming days, Suárez will do individual strength and preventive work at the Ciutat Esportiva. His progress will determine his availability. The available FC Barcelona first team players trained on Monday morning, the day after the game against Valencia CF (1-1). Joining them were Iñaki Peña, Jokin Ezkieta, Guillem, Mingueza, O. Busquets, Sarsanedas, McGuane, Collado and Riqui Puig from Barça B, plus Arnau Comas, Jose Martínez, Iván Bravo, Lucas de Vega, Álvaro Sanz and Nils Mortimer from the Under-19s A. The starters from the previous night's LaLiga match, plus Sergi Roberto, underook recovery work. Coach Ernesto Valverde was not present at the Ciutat Esportiva, as he is currently in Madrid for the UEFA Continued Training Course run by the RFEF. Assistant coach Jon Aspiazu thus ran the session.